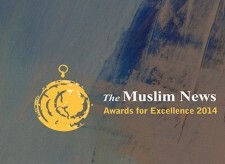 Four Muslim schools – three of which are run by the same trust – have made the top 10 progress 8 nationwide list, making them the best schools in improving the progress children make between the end of primary school and the end of secondary school. 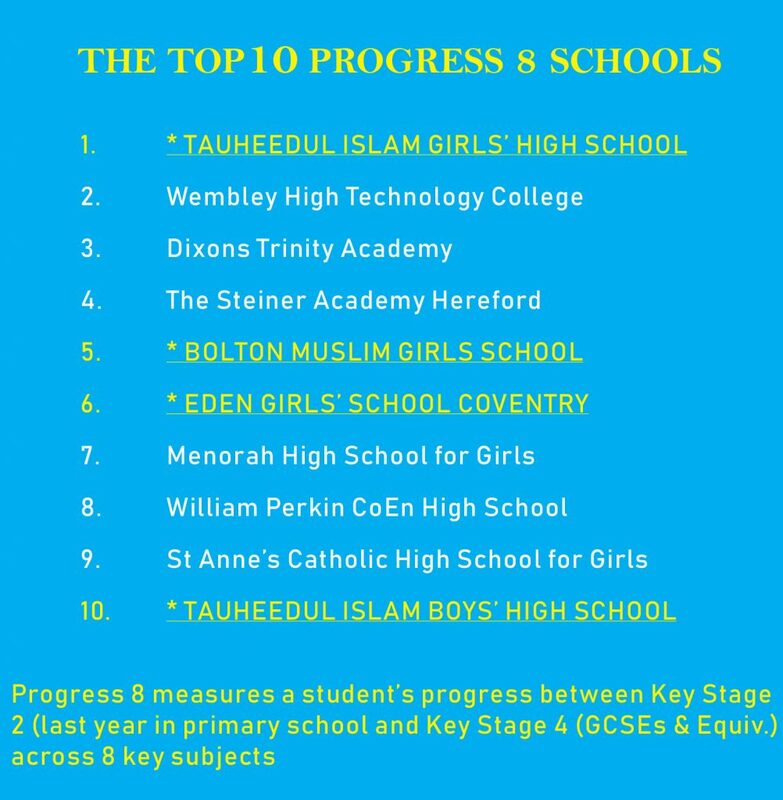 Tauheedul Islam Girls’ High School & Sixth Form College (1st), Bolton Muslim Girls School (5th), Eden Girls’ School Coventry (6th) and Tauheedul Islam Boys’ High School (10th) have the highest value-added Progress 8 (P8) scores in the country. 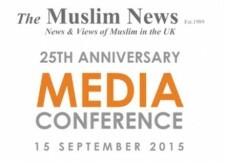 And for the sixth consecutive year, Muslim schools have surpassed national GCSE and equivalent exam averages for English, Maths, English Baccalaureate (EBacc) and ‘attainment 8 score’, according to an exclusive analysis by The Muslim News. 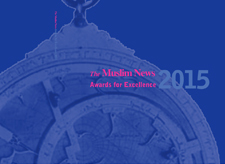 The success of 89 Muslim schools (29 boys, 39 girls and 21 mixed) featured in The Muslim News performance table is made more remarkable when considering the biggest reform of GCSEs has resulted in exams being made harder. This was the first year when new tougher exams in important subjects such as Science, Languages, History and Geography – assessed using a 9 to1 grading system – were completed by students across the country. A grade ‘5’ or higher is considered a ‘strong pass’ whilst a grade ‘4’ is considered a ‘standard pass’. Tougher exams in English and Maths were introduced a year earlier. The Department of Education league tables places Tauheedul Islam Girls’ High School & Sixth Form College (TIGHS) among the highest achieving schools in the country. The Blackburn-based school posted a P8 score of +1.91, the highest value-added score in the country (national average -0.02). That means every pupil at the school achieved, on average, nearly two grades higher than an average pupil in other schools with the same prior attainment. TIGHS achieved an ‘Attainment 8’ score of 67.5 the fifth highest amongst non-selective schools in the country. 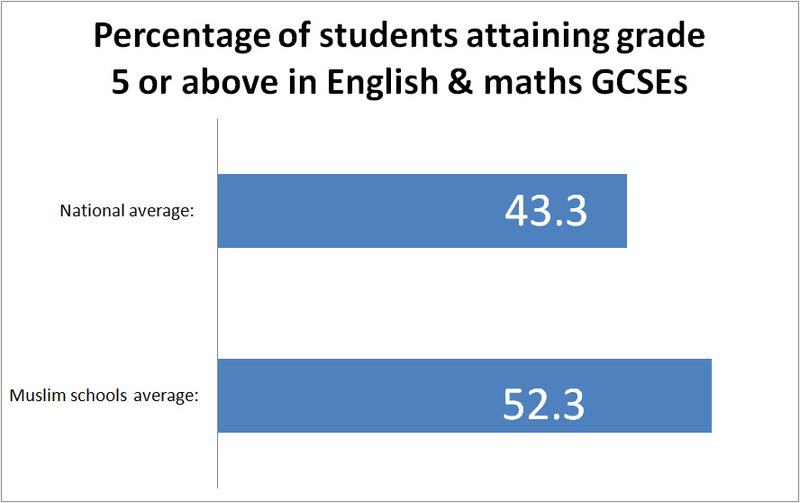 And 84 per cent of students achieved a ‘strong pass’ in English and Maths (ranked 7th amongst non-selective schools). 93 per cent achieved a ‘standard pass’ in English and Maths, ranked 12th highest. Tauheedul Islam Girls’ High School is featured in the top 10 of many indicators, 76 per cent of its students achieved the EBacc, the 4th highest nationally and over 50 percentage points higher than the national average. TIGHS is one of the best schools in the country for results by students from disadvantaged backgrounds and with low prior achievement from primary school. 73 per cent of students from disadvantaged backgrounds achieved a ‘strong pass’ in English and Maths, ranked 9th nationally among non-selective schools. Nationally, around a quarter of students achieve this. And 63 per cent of students with low prior achievement achieved a ‘standard pass’ in English and Maths, ranked 5th highest nationally. Around one in ten such pupils achieve this nationally. Star Academies, which is running three of the four Muslim schools that made the top 10 Progress 8 list, is celebrating having more schools placed in the top 70 in the country than any other multi-academy trust. Among the excelling Star Academies schools are Eden Girls’ School Waltham Forest and Eden Boys’ School Bolton. Al-Burhan Grammar School convincingly surpassed Birmingham’s average in all the measures featured in The Muslim News performance table. 80 per cent of the students achieved a strong pass (grade 5+) in English and Maths GCSE, double Birmingham’s average of 40.1 per cent. And 55 per cent attained an Ebacc with 9-4/A*-C, 31.1 per cent higher than the local result. A spokesman for the all-girls school told The Muslim News, “Our hard-working and dedicated teachers actively encourage pupils to do their best. We have small class sizes and this enables us to give pupils individual attention. Pupils’ attitudes to learning are very positive and they strive to achieve their very best”. Pupils in Feversham Academy in Bradford continue to achieve outstanding results and performed very strongly when compared to both local and national figures. 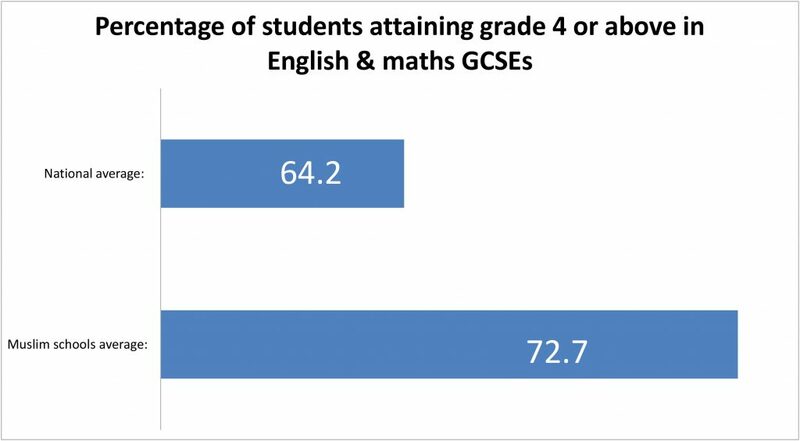 The P8 (+0.71) score was significantly above the national average and the percentage of students achieving English and Maths at grade 5+ was 15 per cent above the Bradford average of 36.2 per cent. “We would like to congratulate all the girls on these results. 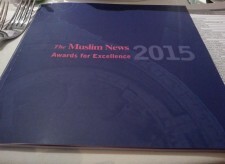 They were a culmination of hard work by all involved, including staff and parents, and we wish them every success in the future,” Principal Sajida Muneer told The Muslim News. In Peterborough, Iqra Academy is celebrating a great academic year. The Academy achieved impressive results as 56 per cent of students accomplished a pass (grade 4+) in both English and Maths and 89 per cent achieved 5 or more GCSEs at grades 4+. The Academy has also achieved a P8 of 0.88, the highest in Peterborough and its Attainment 8 Score of 45.4 places it fourth in Peterborough. 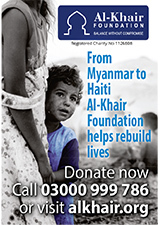 Iqra Academy saw particular success in Arabic, in which 100 per cent of students achieved A*-C.
Among the top performing students were two Syrian refugees who, with the support of the school, both achieved A* grades in Arabic. Significant achievements were also seen in Religious Education and Urdu, with 100 per cent of students achieving a good pass grade (4-9) in both, and English, with 89 per cent of students achieving a grade 4 or above in English Language and 78 per cent in English Literature. South of the country Mazahirul Uloom London Secondary School, has surpassed the Tower Hamlet’s results. 71 per cent of the students achieved a grade 4+ in English and Match GCSE 6.7 per cent higher than the local average. The current GCSE results are not only a significant improvement on the last few years but are not only competing with but also outstretching other local schools.